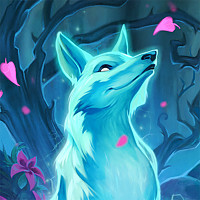 There’s a new meta, and it’s quite different from the one we’ve seen before the balance changes. 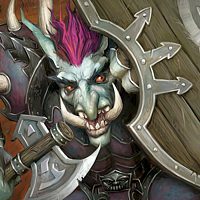 The patch has sparked an influx of new experiments and we can see several new decks rising in popularity. Priest is in the process of overtaking Hunter in popularity. What we did not expect was the rise of an entirely new archetype: Wall Priest. This deck blew up on the days following the patch. 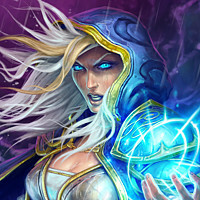 With Control Priest and Gallery Priest, it completes a trifecta of popular Priest strategies. Hunter has taken a big hit, and some of its archetypes are in the process of dying out. Both Hybrid Hunter and Spell Hunter have drastically dropped in play. The two survivors of the balance changes are Midrange Hunter and Cube Hunter. Midrange Hunter has skyrocketed in popularity, especially at legend, and is the most popular deck in the game. Cube Hunter maintains a more modest share of the field. Late game Paladin decks have nearly disappeared, with Holy Wrath, Exodia and Cube Paladin looking like obvious casualties of the Equality nerf. 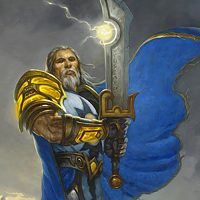 Odd Paladin has taken over and is the most popular class archetype, followed by Secret Paladin and Even Paladin. Warlock still looks very diverse in its strategies. Zoo Warlock has made quite a comeback, rivaling Even, Cube and Mecha’thun Warlock. 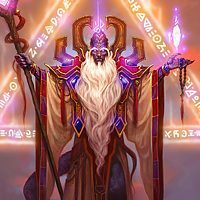 Aggro-Odd Mage has soared to become one of the most popular decks in the game in the post-patch meta. Slower Mage decks, such as Odd Mage and Big-Spell Mage, have remained relatively niche in their representation. Warrior is showing signs of recovery. Odd Warrior has made a big comeback, surpassing Odd-Taunt Warrior. We can see Rush Warrior being heavily experimented with, and non-Baku Taunt Warriors are also around. 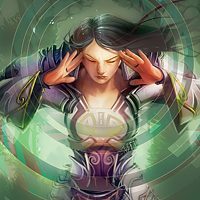 The Rogue class is fractured into many archetypes, and the most popular strategies are currently Malygos Rogue and Miracle Rogue. Odd Rogue has crashed in popularity and is hovering around the 1% play rate. 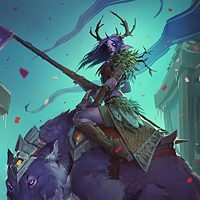 Druid is in a similar spot from before the balance changes. 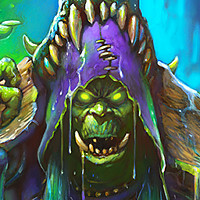 Miracle Druid continues to carry the flag, followed by multiple attempts to revive old strategies, with Malygos Druid being the most prominent one. Shaman looks buried, with a play rate nearing 1% at legend. 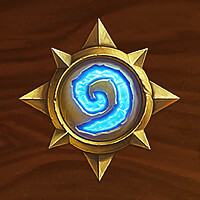 The last bastion of competitiveness, Even Shaman has now lost Flametongue Totem. This has resulted in its collapse into near non-visibility at higher levels of play. Seems like there's some 'sperimentin' going on in the meta, though of course it retains echoes of the previous one. I've liked Rush Warrior for a while and it's nice to see that it's at least coming into contention a bit. 4 out of 5 of my opponents were wall priest yesterday. Turn 1 north shore cleric gave me a lot of trouble and I fell behind quickly. It’s good to see on the meta report that the meta is more diverse than that I experienced. As predicted the meta class that didn't get nerfed rose to be the top of the new meta and people want it nerfed. Considering switching over to odd warrior. Match ups are really tilting in its favour. I've actually been having a bit of fun with a "Copy" Priest deck that uses all the spells and minions that copy stuff from the opponent's deck. It's slow, but so far it has not been entirely uneffective. I've been seeing more zoo warlocks with a few controllish features (presumably to give them an edge against odd pally). Warlock probably has the best overall slate of matchups. Been easy mode for me. more like let’s still completely ignore 75% or the cards released this year and work with what’s left from last year. 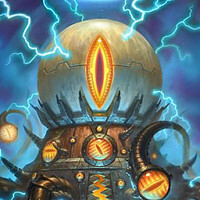 How is wall Priest a new deck when it utilises, Shadow Visions, Scream and the Spellstone. Without them the deck doesn’t work. 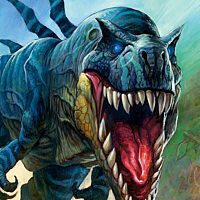 Every deck mentioned besides aggro odd Mage is like a year old deck. It got Warrior'ed. Not a big surprise, since they nerfed the powerful 2 drop that appears in most every deck and has strong synergy with the hero power. I wish their policy with beefing was to shake up the meta, not just to dethrone the top deckto make the runner up obscene. Like common, they could have hit priest with whatever they call the flame tongue nerf and the meta would have been a lot crazier. That’s when hearthstone is at its best. Actually Wall Priest works largely also thanks to Grizzly, Topsy and Mosh’Ogg. I’ve playing Odd Warrior, I still see the occasional combo druid, or quest mage, which are very unfavorable matchups. Also, any deck with Frost Lich Jaina or Deathstalker Rexxar can beat you in the value game. 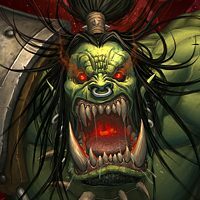 DS Rexxar, if played early enough, can single-handedly turn an aggressive deck that Odd Warrior should easily beat into a very tough game. If they get good Zombeasts, it becomes impossible to win. Can I just say that I am so beyond impressed that Blizzard can consistently produce metas that are even crappier than the ones that came before. Really shows how innovative they can get with unbearably bad game design.